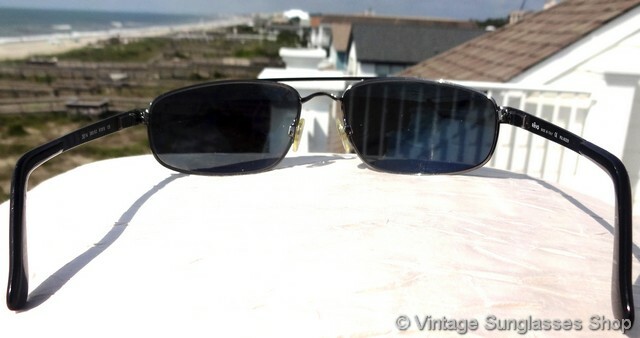 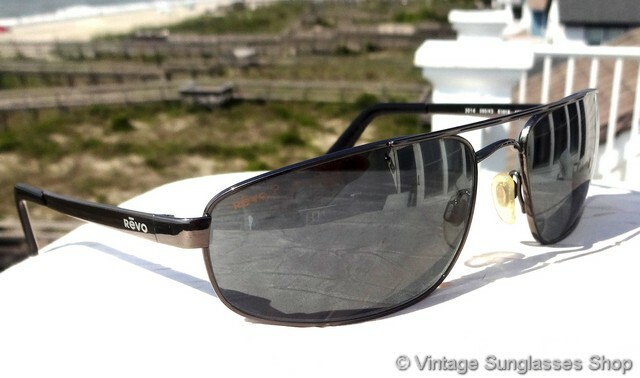 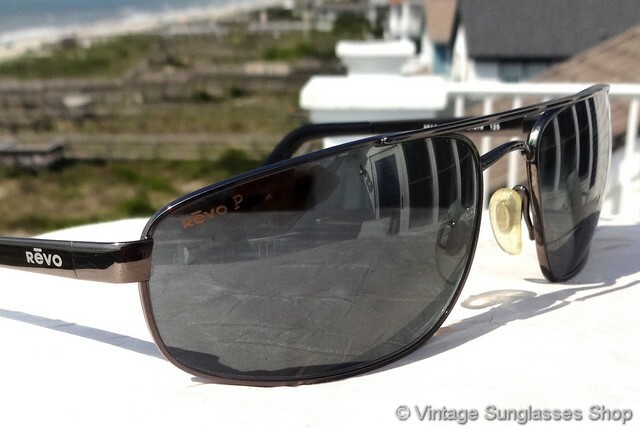 1 Vintage Revo 3014 080 K3 sunglasses are a gleaming chrome wrap sunglasses design with highly reflective Revo P H20 polarized lenses. 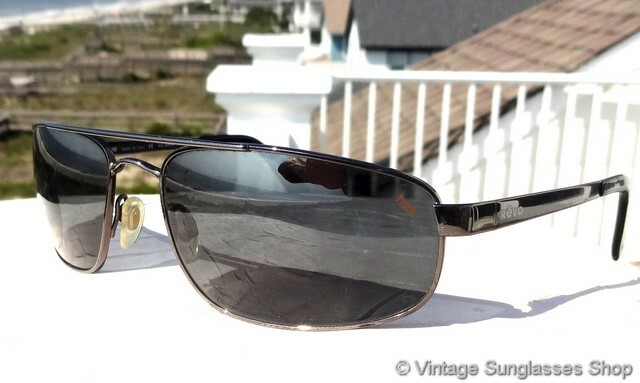 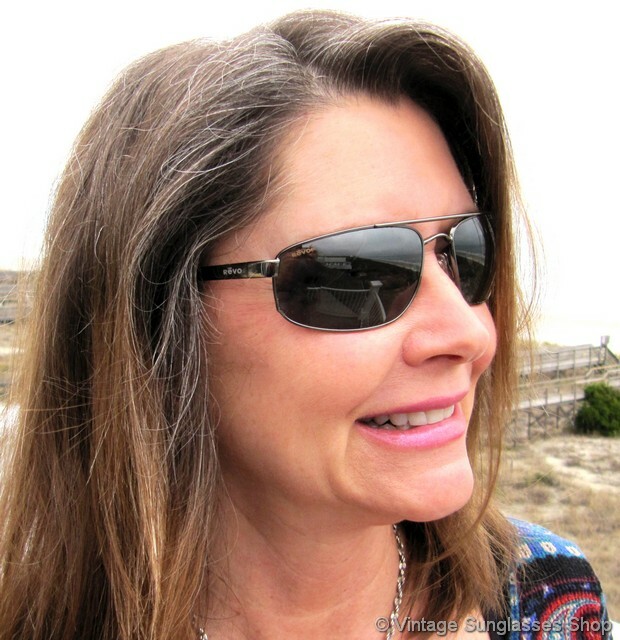 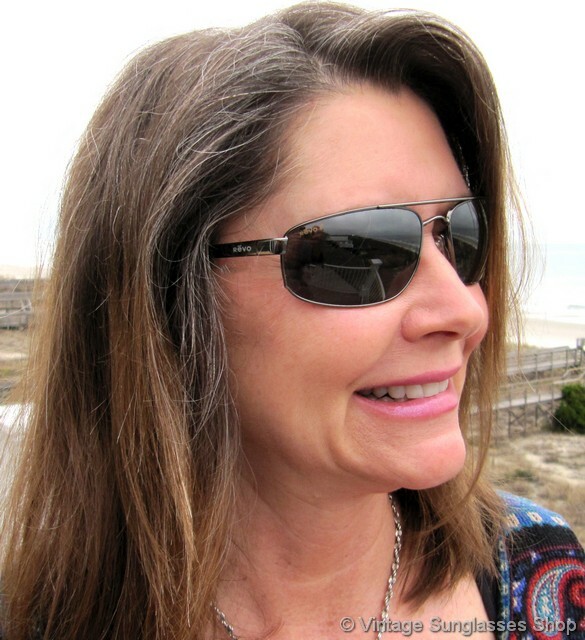 The curve of the wrap design gives your eyes added protection from glare, wind, and rain from the side, and we love the look of chrome coupled with these Revo lenses for a sleek, dynamic appearance. 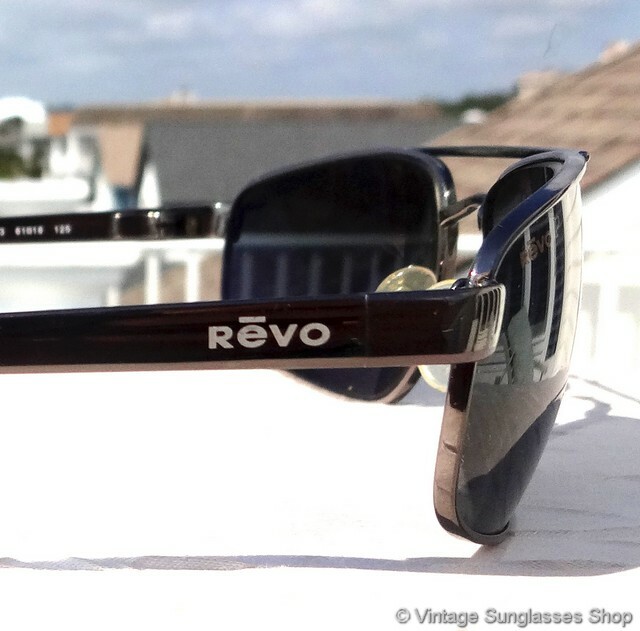 The Revo logo is embossed on each ear stem near the spring loaded hinges, and the inside of one stem is marked Revo Made in Italy CE Polarized while the inside of the other stem is marked 3014 080/K3 61  18 125. 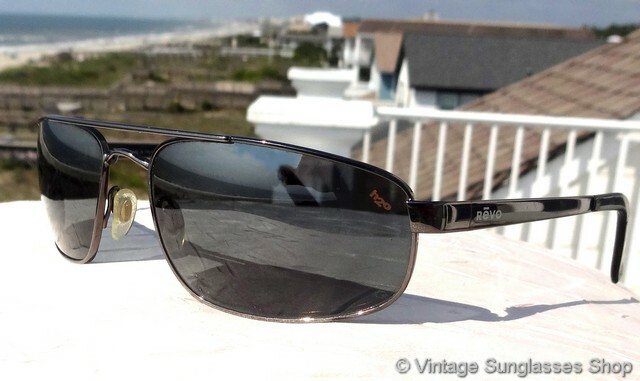 The Italian chrome frame measures approximately 5.5" temple to temple, and the lenses measure 2.25" x 1.375" at the widest points with the right lens laser etched Revo P and the left lens laser etched H20. 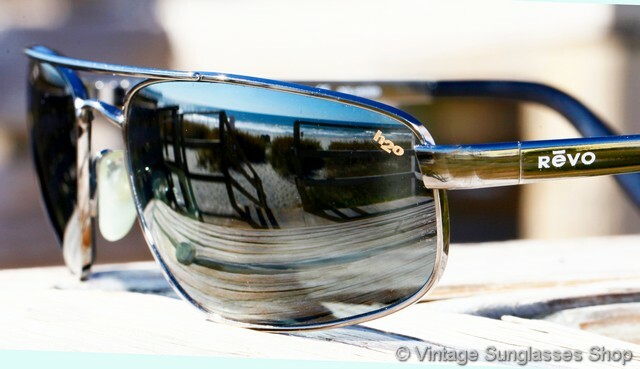 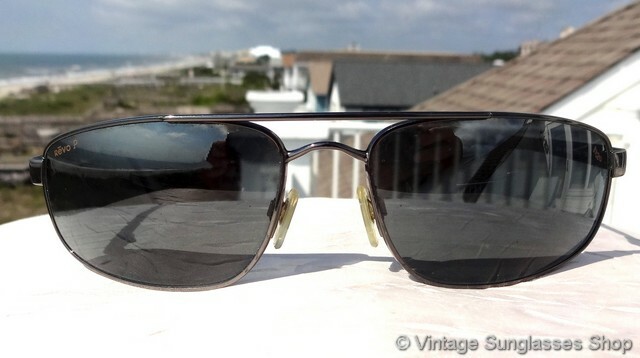 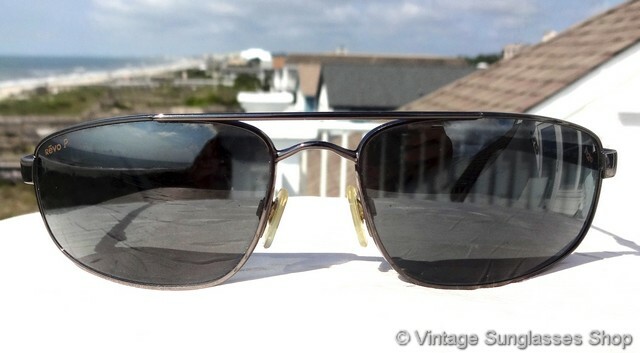 2 Step up another level beyond our already unequaled vintage condition standards with new old stock Revo 3014 080 K3 sunglasses in mint, unworn condition.